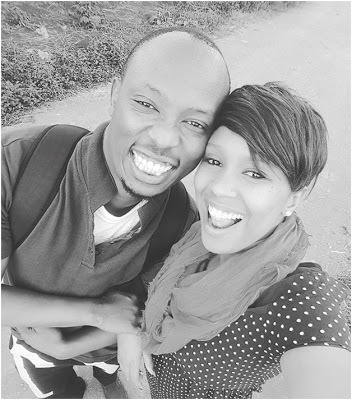 Popular Kenyan gospel singer, Hey Z and his long time girlfriend has called it over. The two who have a baby together are said to have ended their relationship after the girlfriend cheated on him with her boss. 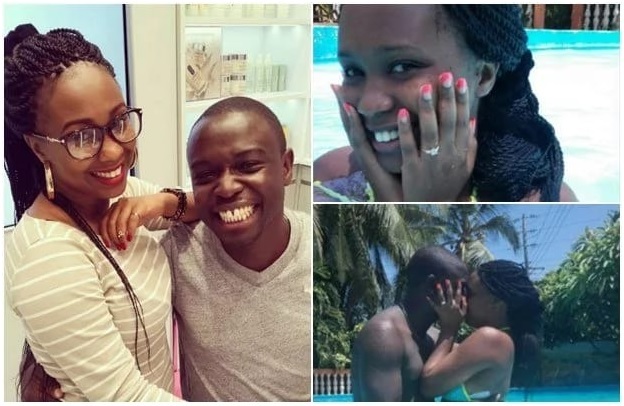 Hey Z proposed to Mercy early this year at Villa Doris Resort in Malindi but things will go as planned. 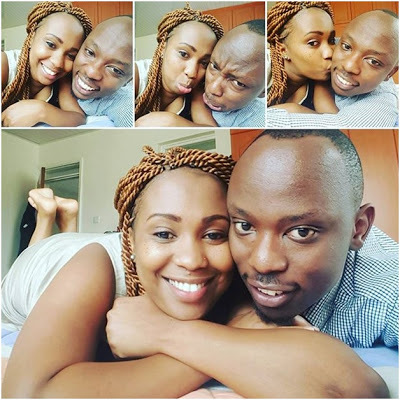 The singer realized that she has been cheating on him with her boss after photos of their s3x escapades leaked online. Hey Z and Mercy during the "good old days"
Hey-Z claims that as he has been busy looking for money and building his business empire his wife has been having a good time with her boss. “I was never around, I have been in Kakamega, I have been all over the place. I have been working. I’m a guy who wants to go to the next level, so I’m really focused on my JOB” The singer narrated.